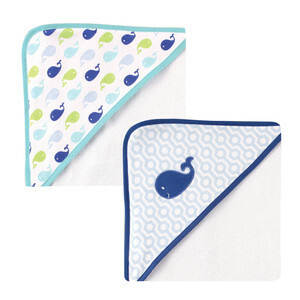 Luvable Friends Print Hooded Towels 2 Pack are made of 75% Cotton and 25% Polyester to make drying your baby easy. 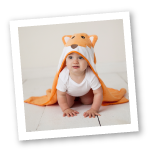 The hooded design keeps your baby warm and cozy after bath while the generously sized 30x30 towel makes drying off easy. Perfect for a day at the beach, pool, or as blanket on the go!